The inventor of the compact disc (CD), the most popular medium in the world for playing back and storing music, is often disputed, as one individual did not invent every part of the compact disc. The most attributed inventor is James Russell, who in 1965 was inspired with a revolutionary idea as he sketched on paper a more ideal music recording system to replace vinyl records; Russell envisioned a system that could record and replay sounds without any physical contact between parts. By the time his invention had been refined and further developed, it was actually a merger and adaptation of many different technologies including the laser (1960), digital recording (1967), and optical disc technology (1970s). Russell struggled to attract interest from investors at first, but eventually Sony and other companies realized the potential and purchased licenses of the CD-ROM technology. With support from large corporations, the technology was further improved and enhanced to ensure it was ready for the market. In 1978, Polygram, a division of Philips, chose polycarbonate as the material of choice for the CD. Many other decisions were also made that year, such as the disc diameter (115 mm) and the type of laser to be used by CD players. It was also decided that data on a CD would start at the center and spiral outwards to the edge. In 1979, a prototype CD system was demonstrated in Europe and Japan; Sony then agreed to join into the collaboration, and both Sony and Philips compromised on the standard sampling rate of 44.1 kHz and the choice to use 16-bit audio. The disc diameter was changed from 115 to 120 mm to allow for 74 minutes of playback with the sampling rate and quality chosen. The compact disc first surfaced in the public eye 15 years after its invention when Philips made an announcement on May 17, 1978. The new standard was proposed by Philips and Sony in 1980 as “Red Book”, which was a set of color-bound books containing the technical specifications for all CD and CD-ROM formats. The standard is not free, and a license (known as an IEC 60908 document) must be obtained from Philips for US$210 as a PDF. In 1981, Matsushita accepted the new CD standard, but the collaboration between Sony and Philips ended as the two companies had products ready for 1982. CDs are made from 1.2 mm thick polycarbonate plastic weighing about 16 grams. A thin layer of aluminum is applied to the surface, making it reflective, and then protected by a film of lacquer. The most common printing method for compact discs is screen-printing. The data on a CD is stored as tiny indentations encoded in a spiral track moulded into the top layer of polycarbonate. Digital data on a CD begins at the center and proceeds outwards to the edge, allowing for flexibility as many different sizes of CDs can be made; the most common being 12 cm in diameter (known as maxi singles when used for storing music). A CD is read using a semiconductor laser that focuses through the bottom of the polycarbonate layer. Sony introduced the CDP-101, the first CD audio player to market, on October 1, 1982 at $900. As the first players surfaced on the market that year, the compact disc format began to attract widespread usage and popularity in Japan and Europe. Compact discs themselves were at first extremely expensive at $30 each. CDs were manufactured at only two facilities in the entire world, each owned by Philips and Sony. The manufacturing process was tedious and required masked technicians in labs. There were soon six factories, and the price per disc dropped to $25, and then to $20. As venture capital poured in, there were soon 40 factories manufacturing discs. Hitachi also released their first CD players in 1982, selling about 6,000 units, whilst Sony sold over 20,000 CD players. In 1982, a mere 50 different music titles were available on the new format from CBS/Sony and Epic/Sony; these mostly included classical, jazz, rock, pop and karaoke. The first CD title was 52nd Street by Billy Joel. By the end of the year, 100 CD titles were available. The new technology was introduced into the US in the Spring of 1983, when CD-ROM prototypes were shown to the public. That year, growth soared as 30,000 players and 800,000 CDs were sold in the US alone. Portable CD players were first introduced in the mid 1980s but were not popular until the 1990s when anti-skip technology was introduced. Sony’s first portable CD player, the Discman D-50, was introduced in November 1984. At first, the D-50 was not profitable but as the product gained popularity, it soon became profitable, and Sony began to create a portable CD market. The Discman range was later re-named to CD Walkman. Many other manufacturers soon followed in Sony’s footsteps to offer portable CD players for consumers; however, the major popularity in these devices came in 1997 because of Electronic Skip Protection, making possible heavy usage. The sales and production of LPs began to suffer in the 1988 as CD production surpassed that of vinyl records. With the work of Sony and many others, the CD finally emerged as an industry standard format for audio data, and as the 1990s progressed, it would soon deliver multimedia content to millions through personal computers. In June 1985, the CD-ROM was introduced – and the CD-R in 1990. These were also developed by Sony and Phillips jointly. In September 1987, Microsoft shipped its first software on CD-ROM, Microsoft Bookshelf. In January 1991, Commodore released the CDTV (Commodore Dynamic Total Vision), which featured a CD-ROM player and cost just $1,000. Apple’s first Macintosh to use a CD-ROM drive was the Macintosh IIvx in 1992. Throughout the remainder of the 1990s, CD-ROM drives became a standard on personal computers, and CD-ROMs were increasingly used for multimedia purposes for software such as atlases, dictionaries, and encyclopedias. Macromedia’s Director application was a large part of this, as it allowed companies to easily create interactive multimedia CD-ROMs with many features. Computer magazines also moved from distributing floppy disks to CD-ROMs with their 700 MB capacity. With the advent of music downloads in the early 2000s and the introduction of the iTunes Music Store in 2003, the CD is decreasing in popularity yearly as music downloads experience rapid growth. 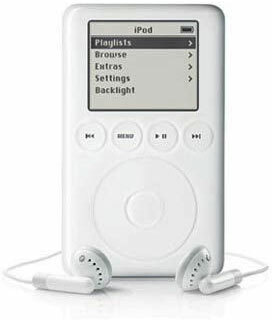 The convenience of music downloads in combination with digital audio players like Apple’s iPod leave little reason to keep CDs and a CD player. Although CDs still control the market for music, they are no longer used as much for storing computer data since the introduction of DVDs in the early 2000s. Sony and its logo are registered trademarks of Sony Corporation. Philips is a registered trademark of Koninklijke Philips Electronics N.V. It might be worth noting that a lot of early CD players required that the CD to be inserted into the tray with the label-side facing down. This was supposedly because the U.S. government at the time was considering regulation requiring that the laser be pointed down in the CD deck. The disk in the photo of the SONY CDP-101 appears to be in the inverted position. It wouldn’t be surprising if a lot of early CD players got unnecessarily disposed of because people didn’t know to invert the disk.